WCAI Morning Edition producer Hayley Fager spoke with Rogers and Gray about the new policy, and checked in with an insurance advocate to get her opinion on it. She talked with WCAI Morning Edition Host Kathryn Eident about what she learned. Eident: Haley, welcome. Thanks for joining us this morning. Could you first give us some background on the Massachusetts Fair Plan and why there is a need for an alternative? Fager: Well like you said Kathryn, the Massachusetts Fair Plan provides home insurance to people who can't get a policy on the commercial insurance market. On the Cape, that's about 40 percent of homeowners. The Fair plan is basically an insurance company. It underwrites high-risk homes using a pool of money from insurance companies in Massachusetts because the state requires them to chip into this pool. The Fair Plan became necessary after a lot of insurance companies pulled out of the Cape a little over 10 years ago, because they thought it was just too risky to insure homes here. That left people kind of stranded. That's when the Fair Plan came in. But, this required coverage doesn't necessarily cover all risks like wind exposure and flooding. So, some private companies provide supplemental plans to cover these risks, but those additional policies are pretty expensive, and they aren't backed by the federal government. Eident: So, not a ton of options for these folks on the Fair plan. And, it sounds like the options that they do have are costly. So where does Rogers and Gray fit in? Fager: Well, Erin Shaaf from Rogers and Gray says that their new "Monomoy plan" will better fill in the gaps left by the Fair Plan. It's not a supplemental plan like the others. It's a separate plan that homeowners can purchase instead of the Fair Plan. 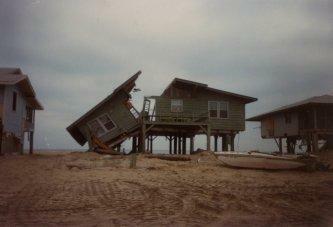 She says home insurance on the Cape can be complicated depending on where you live. "There really are two issues when we think about insuring property on the Cape and the islands, and that's wind exposure and the increased risk from being on the coast, and this flood exposure if one happens the to be in a flood zone," Shaaf said. She also said it was a pretty rigorous process to get approval from the state and they had to offer competitive rates. Eident: OK. So, they have a new alternative what are home insurance advocates say about this plan, do they like it? Fager: Well I spoke with Paula Aschettino, she's the head of Citizens for Homeowners Insurance Reform. She says that the plan is a win for homeowners. And, Aschettino has been a home insurance watchdog for years; she's well versed with a fair plan, and she says that when it comes to home insurance the more options people have the better. "And I think that this is something that I hope will trigger other private insurers to look at how they're writing policies and perhaps make this more competitive and maybe make some improvements that will benefit the consumer," Aschettino said. Aschettino also likes how, in this plan, the wind deductible is only 2 percent. With the Fair Plan, some people have when deductibles of up to 5 percent. "The biggest benefit that I see is that when deductibles part of your policy would be triggered by hurricanes for Massachusetts. And, that will save people quite a bit," Aschettino said. Fager: She says this new policy provides insurance for second homes and rentals which isn't available in their plan. Eident: That's interesting thank you for explaining this Hayley. We'll see, I guess, if Cape residents actually opt for this plan now that we are in hurricane season. Fager: Yeah, we'll see. Aschettino says homeowners should definitely shop around to see what they can get, because the more competition there is in the insurance market, the better it will be for homeowners to get good policies at affordable prices. Eident: And that's WCAI producer Haley Fager. Haley, thanks so much.